Telemedicine assistance from a distance is a great option to have. Higher acuity patients remain closer to their homes and support systems, where local healthcare professionals are expected to provide care under the guidance of the telemedicine team. Our ReaLifeSim Team focuses on the essential element of direct person-to-person healthcare delivery in those remote and rural areas. ReaLifeSim provides safe and affordable opportunities to practice clinical hands-on skills to draw blood and learn to start an IV. 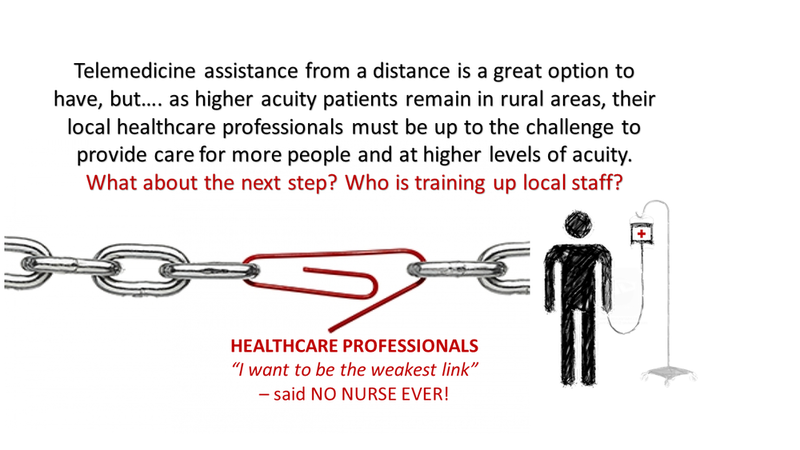 And, like telemedicine, providers have the opportunity to practice IV competency with expert guidance from a professional in a different location. There is an ancient proverb that says that if you give a man a fish, he will eat today, but teach a man to fish and he will eat forever. Over 200 people in remote clinics and villages can practice clinical hands-on skills to draw blood and start an IV sharing one wearable ReaLifeSim standard adult IV trainer. 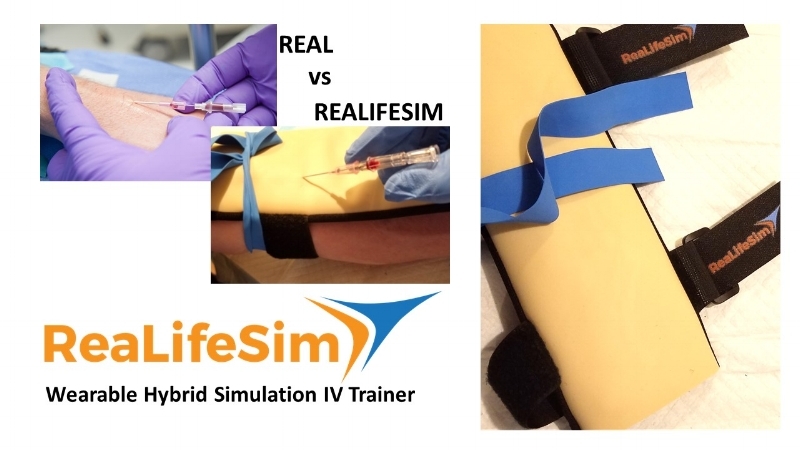 Our ReaLifeSim IV trainers provide a means to inexpensively and comprehensively teach and assess clinical skills to improve health and wellness worldwide during our lifetime and for future generations.